Celebrate the sixth year of the River and Ocean Film Festival at the Rainforest Arts Center in Forks after you’re done cleaning up the beach. Admission is free! International Coastal Cleanup 2018 Results! On September 15, we had another incredibly successful ICC! Over 500 volunteers participated in the 2018 ICC, collecting over 7,500 lbs. of debris from Cape Flattery to Cape Disappointment – the entire outer coast of Washington, with volunteers distributed along approximately half of the 157 miles of coastline and along the Strait of Juan de Fuca. 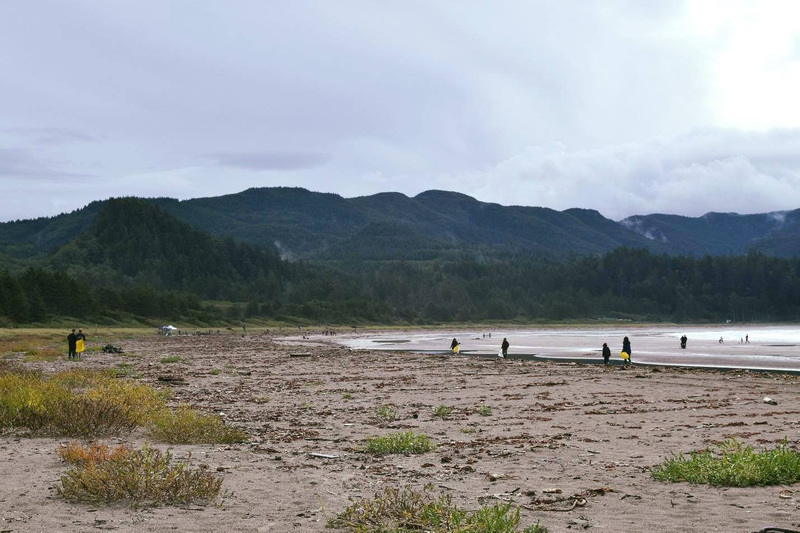 Thank you to all of our AMAZING volunteers who journeyed out to the Olympic Peninsula to reduce the amount of marine debris on the coastline and help protect the coastal habitat. These impressive results would not be possible without you! Also, thank you to our partners, Million Waves Project, for reaching out to CoastSavers to form a new partnership this year. The Million Waves Project takes reclaimed ocean plastics and turns them into 3-D printed prosthetic limbs. Million Waves had plastic shredding demonstrations, and 3-D printed limbs available on display. Please check out the photos below to learn more about what our dedicated volunteers collected. Our dedicated volunteers cleaning up Hobuck Beach at the Makah Reservation. 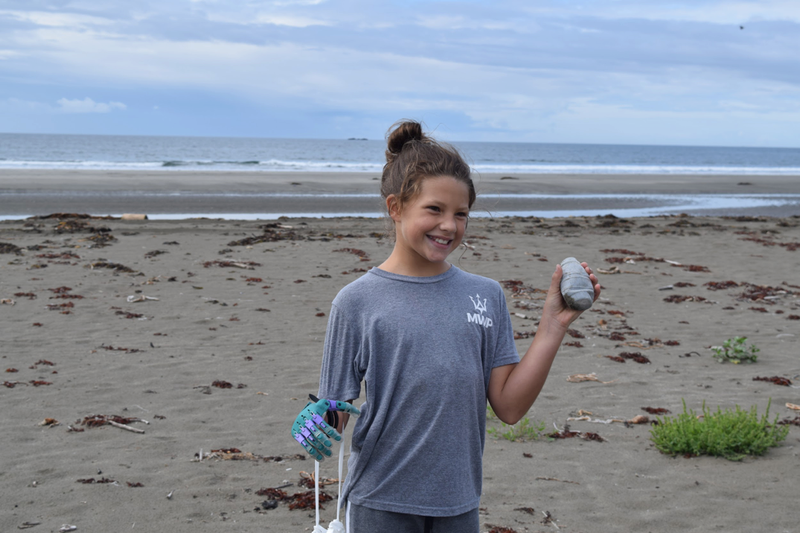 A nine-year old Million Waves Project prosthetic hand recipient, Abbey McPherren picking up debris at Hobuck Beach. The Million Waves Project takes reclaimed ocean plastics that are classified as #1 and turns them into 3-D printed prosthetic limbs. Million Waves had plastic shredding demonstrations, and 3-D printed limbs available on display. A nine-year old Million Waves Project prosthetic hand recipient, Abbey McPherren (above) and her family, also attended the cleanup. 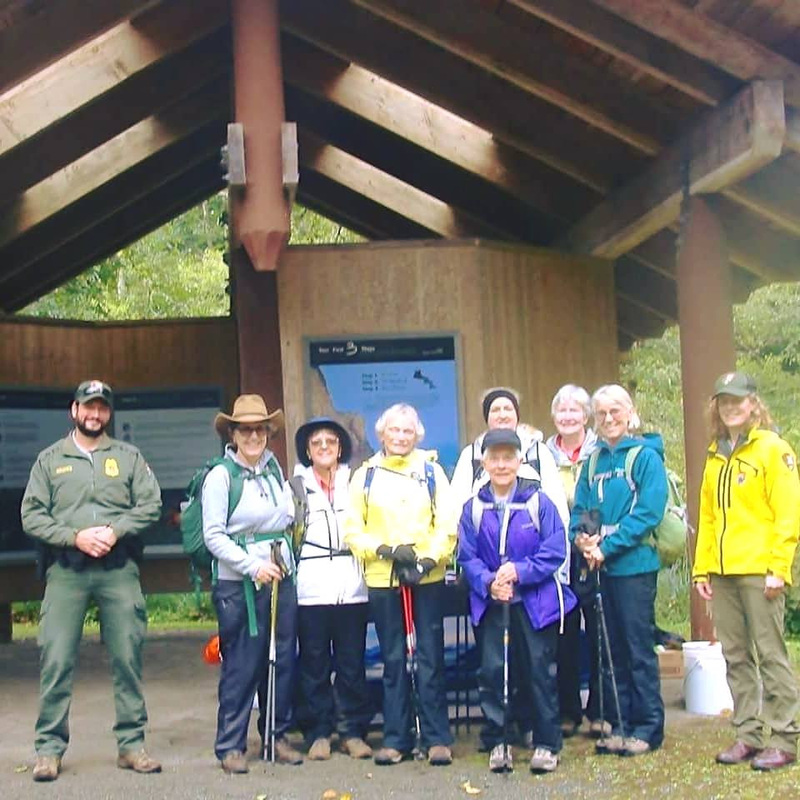 The JabberWalkies are a hiking group of women aged 60 through 96 who hike together twice a month. 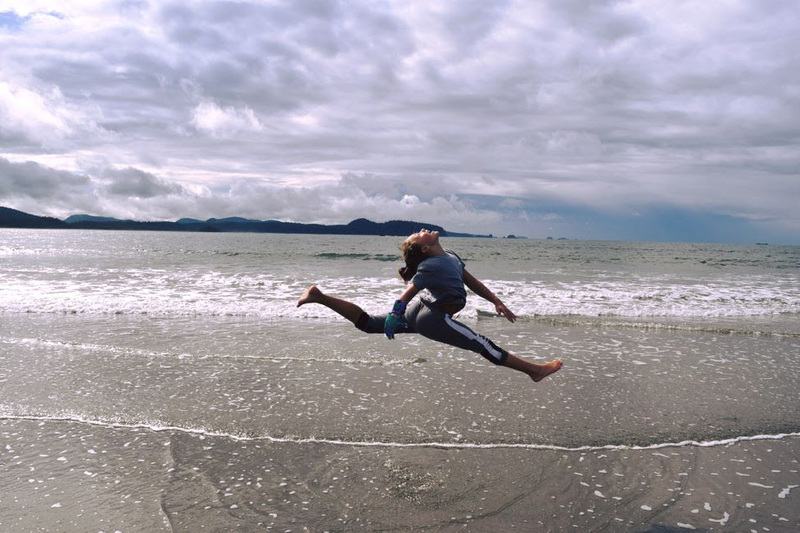 This year they joined the International Coastal Cleanup at Lake Ozette. Our dedicated volunteers cleaning up Pacific Beach. They collected over 50 lbs. of debris! Volunteer showing off the trash they gathered from the Kalaloch Beach like crab traps, plastics and ropes. Two amazing volunteers cleaning up Hobuck Beach at the Makah Reservation. Cleanup effort from this year’s ICC with Million Waves Project at Hobuck Beach. We want to thank you for your commitment to our mission. Volunteers like you help to ensure a clean and healthy coast for years to come. Washington CoastSavers relies on the collective efforts of hundreds of volunteers, each year we also make special recognition of an individual and a group who have made extraordinary contributions to our cause. Congratulations to Kelsie Donleycott, our CoastSaver of the Year and the Grassroots Garbage Gang for being recognized as CoastSaver’s Group of the Year. Kelsie Donleycott was selected as the 2017 Washington CoastSaver of the Year for her efforts to clean the beaches around Ozette every April and September. 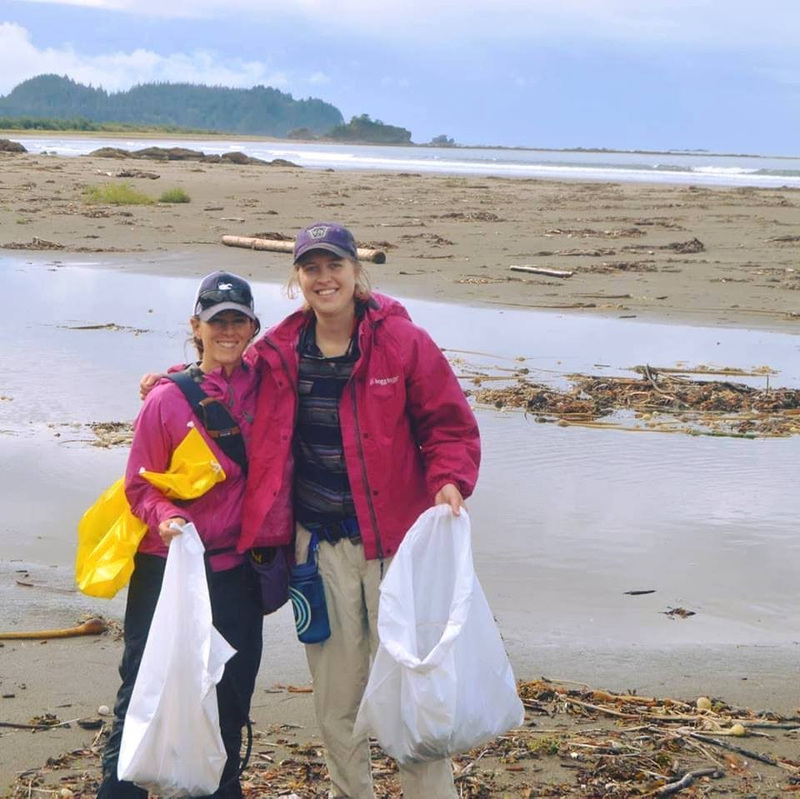 Nancy Messmer nominated Kelsie due to her, “extraordinary commitment to our common goal of a healthy ocean and clean beaches.” Kelsie regularly recruits friends to join her on overnight expeditions to some of the more remote beaches during the cleanup weekends. They pack their camping gear to the beach more than three miles, set up camp, and then start cleaning. They often make multiple trips from the beach to the dumpster over a couple of days, utilizing creative techniques. Messmer elaborates, “Rain or shine, they (Kelsie and her friends) come out hauling bags on pack frames, handcrafted driftwood yokes and/or hung on a driftwood pole between two carriers, along with buoys, rope, nets, and assorted large irregular items.” Kelsie’s photos of dedicated volunteers and remote beaches have been used to promote CoastSavers on their website, posters, a traveling exhibit and social media posts. Thanks for all you do Kelsie! 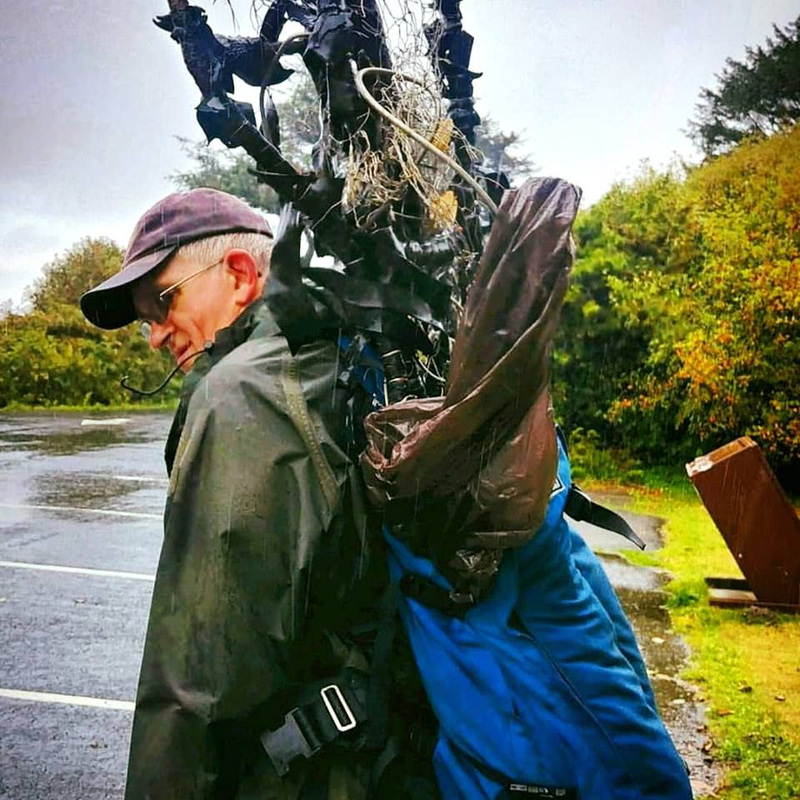 The Grassroots Garbage Gang was selected as Washington CoastSavers’ Group of the Year for their annual cleanups of the 28-mile-long Long Beach Peninsula. The group’s founder, Sh elly Pollock will be coordinating her 50th cleanup for the local group this January 20th. The Grassroots Garbage Gang is an informal alliance of locals, tourists, groups, local businesses and government agencies that pull together to clean the beach three times a year, in January, April and July. 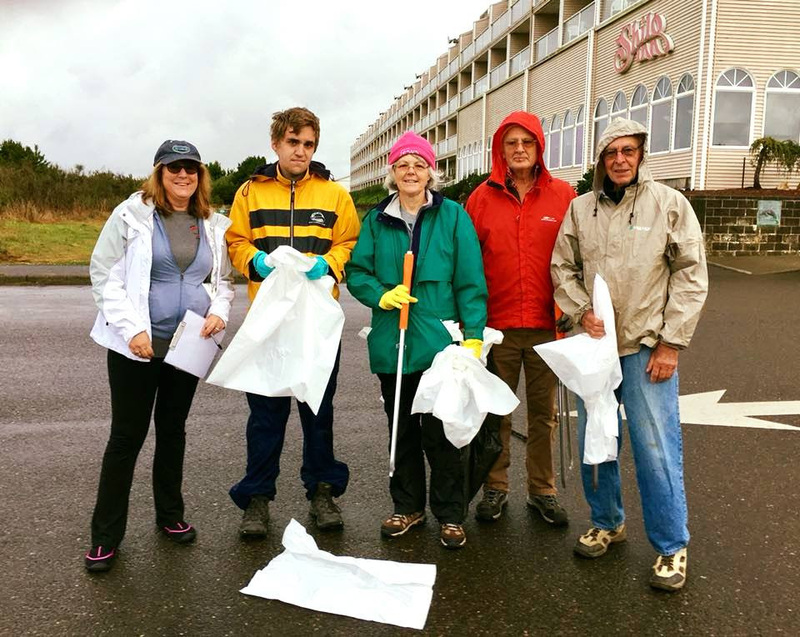 According to Magen Michaud, CoastSavers Steering Committee member who nominated the group, “There are volunteers, including groups that have adopted sections of the beach, who show up repeatedly to do their part in the organized cleanups. In addition, there are people who take garbage bags every time they go on the beach – the desire for protect our precious beach has been institutionalized!” Jon Schmidt, Washington CoastSavers previous Coordinator, lived on the Long Beach Peninsula for eleven years and credits Pollock and the Grassroots Garbage Gang for turning him on to the issue of marine debris and the need for beach cleanups. Schmidt explains, “the local participation for the cleanups around Long Beach are really special, filled with hometown pride.” A big thanks to Shelly and the rest of the gang! WHAT IS MARINE DEBRIS & WHAT CAN I DO ABOUT IT? Marine debris is trash that somehow ends up in the ocean. Recognize this plastic water bottle? It could be the one you threw away several months ago – not at the beach, but at your home! It just blew out of your garbage, landed in a nearby waterway, and floated out to the coast. Now it’s degrading and poisoning our coastal wildlife and releasing its toxins into the food chain. Or maybe a commercial fishing boat lost some gear in one of our notorious winter storms. Now it’s floating around out there, damaging our coastal fisheries, and pointlessly killing everything that gets caught. No matter where you live or what kind of work you do, marine debris is your problem. Learn more and use our resources today.